Karan Johar is an Indian film director, producer, screenwriter and TV celebrity. He is the son of Hiroo Johar and Yash Johar. He is one of the most successful filmmakers in Bollywood. He is most known for directing and producing some of Bollywood’s highest grossing films in India and the overseas. The four films he has directed, all starring Shahrukh Khan, have been India’s highest grossing productions overseas. Johar is the host of a television chat show called Koffee with Karan commissioned by Star World, in which he interviews renowned celebrities from Bollywood and India’s glamour world. Here is a list of his mst successful movies in Bollywood, which were highly praised by the audience. 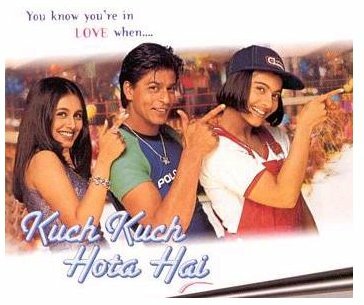 Kuch Kuch Hota Hai (translation: Something Happens) is a Hindi romantic comedy film, released in India and the United Kingdom on 16 October 1998. The film was written and directed by the debuting Karan Johar and stars the popular on-screen pair of Shahrukh Khan and Kajol in their fourth movie together. Rani Mukerji features in a supporting role, while Salman Khan has an extended cameo appearance. The film was extremely successful both in India and abroad, winning major awards in all categories. Kal Ho Naa Ho (literally Tomorrow May Or May Not Be) is a 2003 Hindi film set in New York City. It stars Jaya Bachchan, Shahrukh Khan, Preity Zinta, and Saif Ali Khan. The film was directed by first-timer Nikhil Advani; it was produced and co-written by Karan Johar. The movie is also noted for its soundtrack, which was a huge commercial and critical success and earned the composers Shankar Ehsaan Loy the National Film Award for Best Music Direction. The movie was a huge success and was very much loved by the audience for its beautiful story line and composed making. Kabhi Khushi Kabhie Gham (translation: Sometimes Happiness, Sometimes Sadness) is a Bollywood film released in India and countries with large NRI populations on 14 December 2001. It features Amitabh Bachchan, Jaya Bachchan, Shahrukh Khan, Kajol, Hrithik Roshan, Kareena Kapoor and Rani Mukerji in a guest appearance. 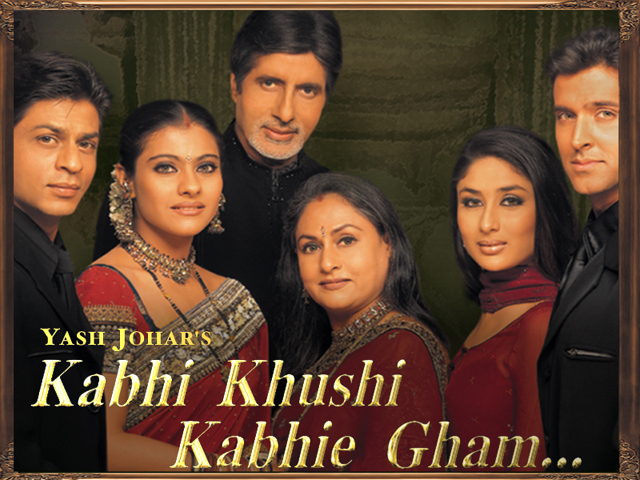 Kabhi Khushi Kabhie Gham was the highest grossing Indian film in the overseas market until 2006. The music of the film was done by Jatin Lalit, Sandesh Shandilya and Aadesh Shrivastava. Kabhi Alvida Naa Kehna (English: Never Say Good Bye) is a 2006 Bollywood film directed by Karan Johar and produced under the Dharma Productions banner. Set and mostly filmed in New York City, Kabhi Alvida Naa Kehna is a romantic drama film which explores themes of adultery and extramarital affairs. The film was a success internationally and in the United States it became the highest grossing Indian film of all time, beating Kabhi Khushi Kabhie Gham’s five year old record. The film was nominated for numerous awards and the actors won some awards and their work was appreciated. My Name Is Khan commonly referred to as MNIK, is a 2010 Bollywood film directed by Karan Johar, with a screenplay by Shibani Bathija, produced by Hiroo Yash Johar and Gauri Khan, and starring Shahrukh Khan and Kajol. It is a story of Rizwan Khan, a Muslim from the Borivali section of Mumbai, suffers from Asperger’s syndrome, a form of high-functioning autism that complicates socialization. The adult Rizwan marries a Hindu single mother, Mandira, in San Francisco. After 9/11, Rizwan is detained by authorities at LAX who mistake his disability for suspicious behavior. Dostana (translation: Friendship) is a 2008 romantic comedy film. It stars Abhishek Bachchan, John Abraham and Priyanka Chopra in the lead roles. The film was directed by Tarun Mansukhani who previously was Karan Johar’s assistant. It was produced by Dharma Productions. The film explores the story of two men who pretend to be gay, so that they can rent an apartment from an older lady. Both the men fall in love with the same girl, their roommate, but are unable to express their feelings because she is related to the old landlady. 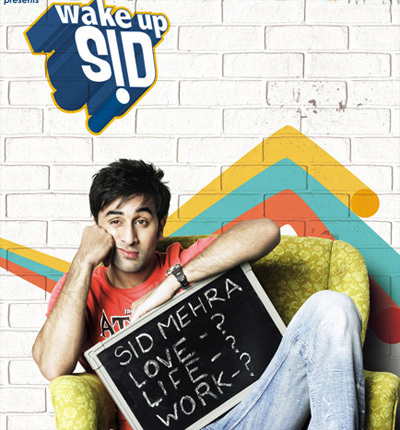 Wake Up Sid is a 2009 Hindi romantic comedy film. It is directed by Ayan Mukerji, produced by Karan Johar’s Dharma Productions, distributed by UTV Motion Pictures, and has visual effects by the Prime Focus Group. The film takes place in contemporary Bombay and tells the story of spoiled, careless rich-kid Sid Mehra (Ranbir Kapoor), a college student who is taught the meaning of life by Aisha (Konkona Sen Sharma), an aspiring writer from Calcutta. We Are Family is a Hindi film directed by Siddharth Malhotra and produced by Karan Johar. The project features actors Kajol, Kareena Kapoor and Arjun Rampal in the lead roles, and is an official remake of the 1998 film Stepmom. It released worldwide on September 3, 2010, and a day before in India and UAE. Karan Johar decided to adapt the movie for an Indian audience. Although he initially intended to buy the rights to the film, he eventually opted to co-produce it with Sony Pictures. Kurbaan (translation : Sacrificed) is a Bollywood film directed by Rensil D’Silva and produced by Karan Johar. The film, set against the backdrop of global terrorism, features Saif Ali Khan and Kareena Kapoor in pivotal roles along with Vivek Oberoi, Dia Mirza, Rupinder Nagra, Om Puri and Kirron Kher. Released on November 20, 2009, the film deals with an underground organization’s attempt at instilling fear by means of terrorism in the United States. It also intersperses philosophical arguments over the corruption of religious beliefs in an attempt to ‘rectify’ the damage to Muslims world-over. Kaal (translation: “The Time of Doom”) is a Bollywood Horror film, released in India on 29 April 2005. The movie is directed by Soham Shah, who also wrote its dialogue and screenplay. Karan Johar and Shahrukh Khan produced the movie. The movie is based around the story of a wildlife expert, his wife and a group of friends who battle against supernatural creatures in the fictional Orbit National Park (alluding to the world-famous Jim Corbett National Park of India) for their lives. It stars Ajay Devgan, John Abraham, Vivek Oberoi, Esha Deol and Lara Dutta. It has Shahrukh Khan in a cameo role in the song “Kaal Dhamaal”.